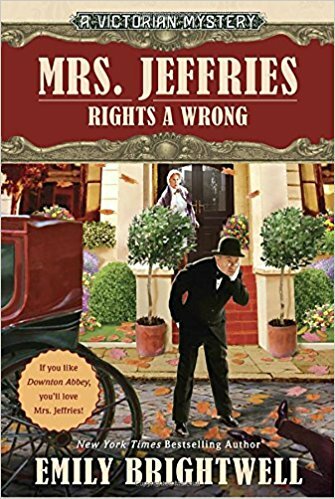 Mrs. Jeffries is back in the New York Times bestselling Victorian Mystery series, perfect for fans of Downton Abbey. Emily Brightwell was born in the Appalachian mountains of West Virginia. Her family moved to Southern California in 1959 and she grew up in Pasadena. After graduating from California State University Fullerton, she decided to work her way around the world and started in England. She didn’t get any further because she met future her husband there, got married and moved back to California. While living in Long Beach, she decided to pursue her dream and become a writer – despite having two children and a full-time job. 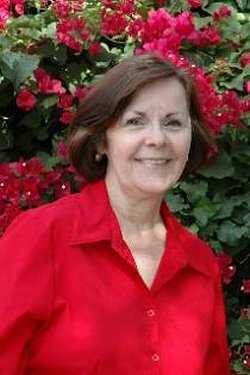 She began the Mrs. Jeffries series in 1993 with “The Inspector and Mrs. Jeffries ” and has written thirty-four more mysteries in the series in the following twenty-one years. Now that her children are grown and have left home – Emily and her husband live in the Bay Area. Find out more about the author on her webpage here. Click here for the complete series of Mrs. Jeffries Mysteries on Amazon. This Mrs. Jeffries sounds like an intriguing lady whom I would like to “meet”. I did not realize there were so many books in this series! They sound very entertaining, and it looks like I need to get a start on reading them. Thanks for spotlighting this book and author!